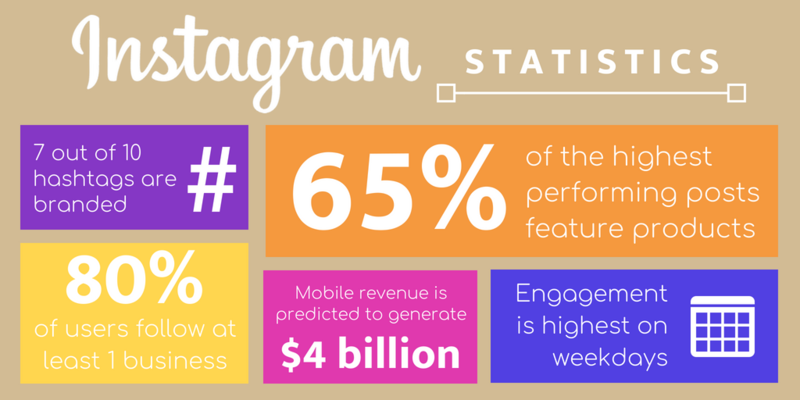 Get ready to market on Instagram like the pros do. Let’s get started! The first step in Instagram marketing for real estate investors is (obviously) to download the app and make an account. Because Instagram is a mobile social platform you have to have the mobile app. Unlike Facebook or Twitter, you can’t post to Instagram from a computer or laptop, but you can on a smart phone, tablet, or iTouch. So in order to have a successful Instagram for your real estate investing business, you need to download the app to your phone. Once you have the app downloaded the steps to building your profile are as simple as following the prompts. Make sure your Instagram handle is your business’s names, or something close to it. You don’t want special characters or numbers unless you absolutely have to. For example, our Instagram handle is simply @leadpropeller. We got lucky being able to have our actual business name because there aren’t any other places called “LeadPropeller”. However, you’ll probably find there there are variations of your real estate investing business’s name in your area. That means you’ll have to come up with a simple variation. Again, avoid special characters or names that aren’t similar to your business. This makes it easier for your audience and people you want to network with find you. If you have too many special characters, or spell the handle strangely, you increase the probability of someone not being able to find you and giving up. Because you want to do Instagram marketing for real estate investors, you need to make sure the account is a business account. That’s the most important step. If it’s not a business account then you won’t be able to run ads. No business account = no ads = no quality marketing strategy. Log into the app (on your mobile device) and tap on the three dot icon to get to the setting menu. The default will be to link to your personal Facebook account. To make sure it links to a business page, select “Facebook” again and go down to the page that you manage. You’ll find this under the “Share to” menu. It’s important that you’re linking the business page and not your personal Facebook for a few reasons. The first being that when a personal page is linked to Instagram you can’t run ads (which is kind of the whole point). The second reason is that it doesn’t help your social media optimization to link to an account that isn’t a business account. Instagram marketing for real estate investors is very similar to SEO marketing. If you’re not linking to other relevant sites and pages then it hurts your online appeal. Just like search engine optimization, Instagram marketing for real estate investors is all about building a presence and generating organic leads. There is a paid strategy, and we’ll talk about that further down in this article, but for now we want to focus on the best way to get high quality leads for pennies. 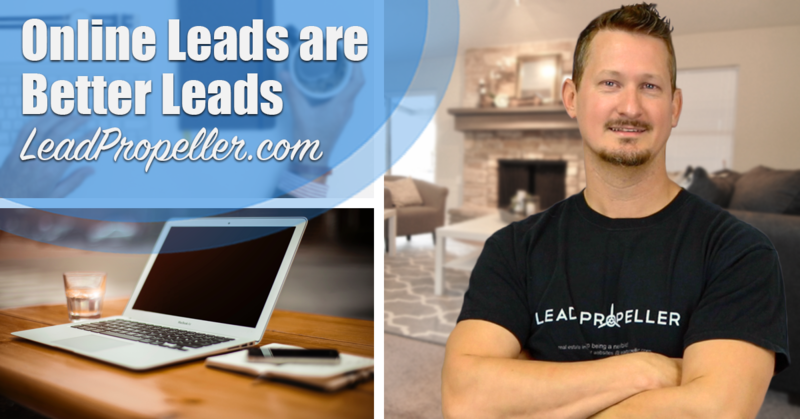 After all, that’s the best part about organic leads: they’re cheap! There are a few ways to generate organic leads when you get into Instagram marketing for real estate investors. Let’s go over a quick breakdown of each one so that you can start generating cheap and high quality leads! First and foremost, Instagram is for image sharing. Yes, there is a video sharing option, but it doesn’t perform as well. Videos work best for platforms like Facebook, YouTube, and SnapChat. 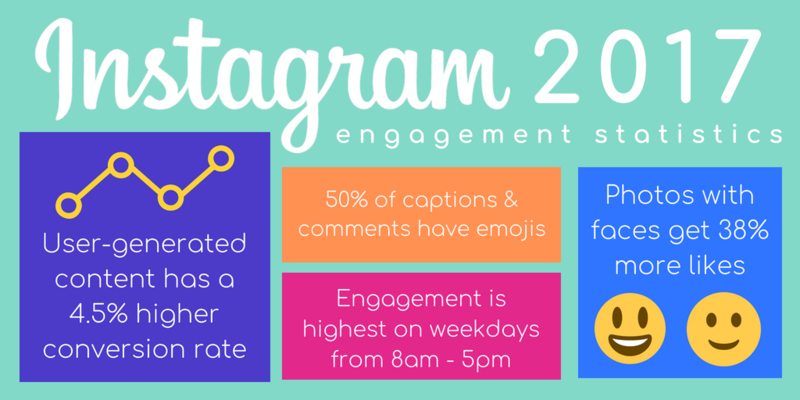 As far as Instagram goes wmeGroup found that “photos generate 36% more likes than videos”. Of course that doesn’t mean don’t post videos. Videos are more effective as ads then they are as story or profile posts, so don’t rule them out entirely. You don’t want to post overt ads in your organic Instagram content because it will make your profile look like a spam account. You want to be authentic, genuine, and interesting for your target audience. What your specific pictures and videos will be will vary on the type of real estate investing you do. If you’re a house flipper, your Instagram will have more rehab and before and after posts. If you’re a wholesaler, your Instagram will have more houses that are good flips for investors as well as more posts about the cash buyers you work with. Just like the the content of your posts will vary based on the type of real estate investing you do, your hashtags will depend on what target audience you’re trying to reach. Much like keywords for SEO, you don’t want to guess which hashtags you should be using. Your hashtags need to be relevant, popular (or popular enough), easily sharable, and already in circulation. You might see large brands running hashtag promotions and wonder if that strategy will work for you. To be honest, it works for large brands like Wendy’s, Nike, and Starbucks because they already have a large following that their promotion builds off of. For a small brand like your real estate investing business, trying to run a hashtag promotion will most likely result in a disappointing campaign. That being said, you do still need to use hashtags (and you need to research them). The best place to research hashtags for your real estate investing profile is definitely HashAtIt.com (psst, that’s what we use), however there are other sites for hashtag research that you can use. Hashtags act like keywords and meta-tags. They categorize your post to make it easier for your audience to find. On Instagram users follow hashtags that they are interested in, in addition to following people and profiles they like. That means putting relevant hashtags on your posts will make that post appear in someone’s feed regardless of if they’re following your profile or not. Get creative with the hashtags that you use, but make sure they’re relevant to your real estate investing business. Instagram marketing for real estate investors is all about subtlety, authenticity, and getting in front of your target audience. If there’s a trending hashtag that you want to be a part of, make sure there’s a relevant tie in to your business or the services your business provides. Trying to jump on a trend without being related to it is a social media killer. There are a lot of sources that claim to have the best posting time. The truth is there are general times and days that are best to post, but you have to put in the time to see when your audience is most responsive. You can use these sources as a starting point, but you still need to split test times and see when you get the most views, likes, comments, and shares. 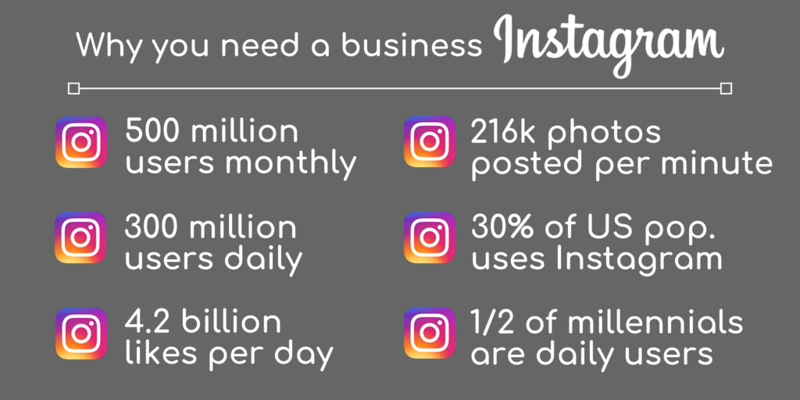 Because Instagram can only be posted to on a mobile device, it can be difficult to keep up with posting during peak times when you’re a busy real estate investor. Again, unlike Facebook, Instagram doesn’t have a scheduling feature built in to it for businesses. Which…is a bummer. Does that mean that you have to set aside time in the day to take a picture or video, research hashtags, and make a post? No. There are third party scheduling apps that make Instagram marketing for real estate investors so much easier. In fact, we use Later to schedule our Instagram posts. Later is specifically built to schedule posts for platforms such as Instagram and Pinterest, but there are others you can use such as HootSuite and Buffer. Alright we’ve talked about organic Instagram marketing for real estate investors, now let’s get into talking about paid advertisements. No doubt you’ve seen them. The majority of Instagram ads are videos, but there are stipulations. If your ad video does not meet these requirements then it won’t appear on Instagram the right way. It will either be stretched or squished weird, get cut off before the run time is over, or not be posted at all. None of those things are good for a successful ad campaign. That’s why you have to adhere to the standards mentioned above. After all, you only have 1 minute to get the point across. It’s better to make lots of ads that each focus on one specific element of your business than try to make one all-encompassing advertisement. Cast lost of small nets, not one huge one. Now on to actually posting the ad. This is why you need to link your business’s Facebook page to your Instagram account. Because Instagram is a Facebook asset, they share an ad platform. When you make a boosted post in Facebook (with a budget over $20/day), or a Facebook ad, it will automatically be shared to Instagram as an in-feed advertisement. This is ideal. That means you’re getting double exposure for your ad. However, when you do a boosted post on Facebook you’re paying for engagement and reach. If you have a low budget, it’ll most likely be spent very quickly. Once the budget is up, the ad stops appearing in front of your audience. This was a lot to take in. We get that. Just like all other social media platforms, Instagram is definitely worth the time. 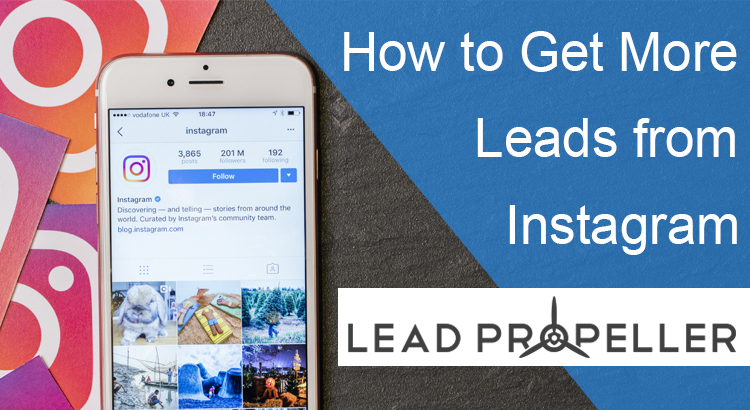 There are lots of leads that come from Instagram, but only if you’re doing it right. If your account looks like a spam bot, or is only full of ads, it’s not going to perform well. Let us help you out. No, we won’t organically post for you (check out how great virtual assistants are with these tips from Flipping Junkie). We will manage your ads though. Our expert team of online marketers are amazing at running and managing social advertisements for real estate investors. They work in-house with us, side by side with our team of active investors. Our personalized Facebook ads will run on Instagram as well, meaning Instagram marketing for real estate investors just got a whole lot easier. Interested in running ads on Instagram for your business? Give us a call today at (210) 999 – 5187 to get started with your professionally managed social media ad campaign! Or learn more by visiting our website here, or checking out our other blog articles on Facebook ads for real estate investors! Our experts are waiting to help you get more leads from Instagram and Facebook for a fraction of the price.